Download The Concept of Dilemma in Legal and Judicial Ethics in PDF. Judges and lawyers have to shape their moral competences in order to maintain their professional ethics at a high standard if they want to effectively meet the challenges that modern society will throw at them. This requirement is due to the growing expectation that they will be socially and morally responsible for the law. Thus, the need to place ethics at the heart of legal education, and to make ethical reflection pervasive in academic courses, becomes more obvious every day. Using the concept and examples of moral dilemmas is a way of facilitating this task. The main purpose of this book is to analyse the concept of moral dilemma in context of judicial and legal ethics, and to provide material for legal education. The structure of this book is designed with this double aim in mind. The theoretical part presents the concept of dilemmas on grounds of metaethics and the perspectives for its application in a professional legal context. The former encompasses situations of conflict of duties or obligations, in which the choice of one conduct necessarily prevents a different conduct, and therefore leads to an unacceptable outcome. Hence, the situation of dilemma always involves an issue of moral responsibility and the problem of “dirty hands”. How such situations are present in legal practice and how to deal with them is the main concern of this part. The considerations are divided into three levels of reflection – deontological, axiological, and moral responsibility. The practical part of the book contains an overview of 150 dilemmas that can be useful in legal ethics or other legal courses. The dilemmas are divided into chapters covering the following branches of law: criminal law, civil and commercial law, family and custody law, labour and social security law, and constitutional law. Every dilemma presents a description of the facts, a reconstruction of dilemma, its standard solution and some critical remarks from a meta-ethical perspective. 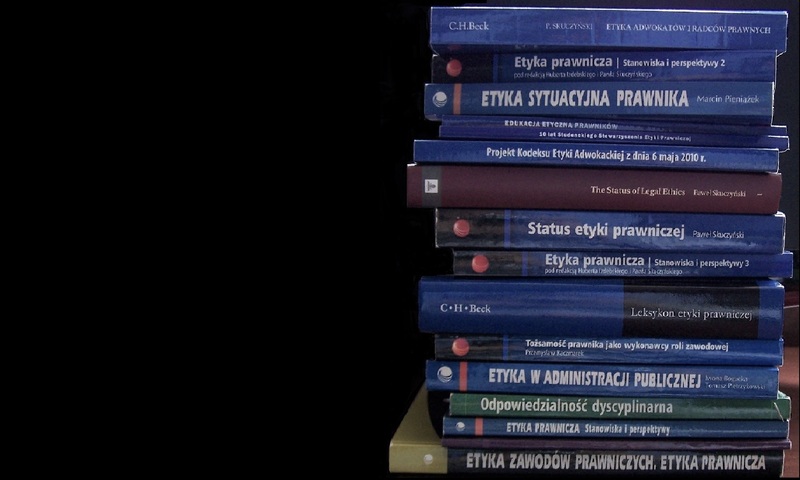 The dilemmas cover situations regularly met in everyday practice, as well as examples of more exceptional challenges in connection with constitutional crises that have occurred in Poland in recent years.